Karur being a tourist attraction offers a lot of variations, whether it is beautiful temples, festivals, or ancient monuments. 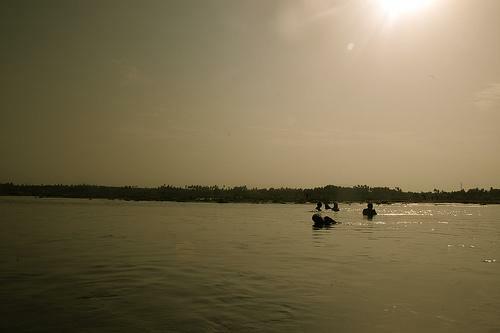 Karur is a place which offers a mix of all. And when you travel there, a visit to Nerur, a nearby village, covered with lush greenery is a must. Nerur is a quiet little village situated on the banks of the river Cauvery .There are various reasons that makes Nerur special. While its scenic beauty is just one of its specialties, you can also visit the numerous beautiful temples that are dedicated to different deities. Many of them is a residing place of various kuladevtas and that is why you see so many devotees coming here to visit their family deities, to pray and worship them. 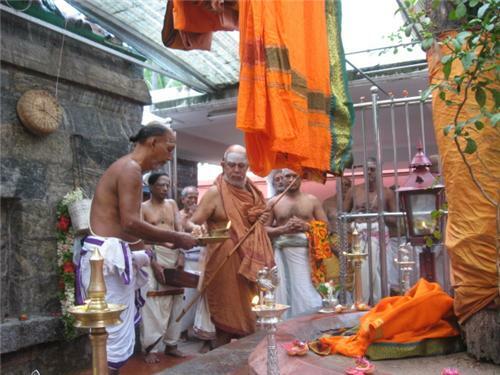 The great saint Sadasiva Brahmendra’s samadhi is also present in a temple at Nerur. The saint lived about 350 years ago and is known for his contributions to Carnatic music. Many of his well known works have shaped Tamil literature immensely. Even today his compositions are sung during the festivals of the temple. He performed many miracles and was devoted completely to meditation and lived his entire life seeking peace avoiding every kind of worldly pleasure. The samadhi was built by Vijaya Raghunatha Thondaiman of the Thondaiman dynasty who was the ruler of the Pudukottai kingdom. 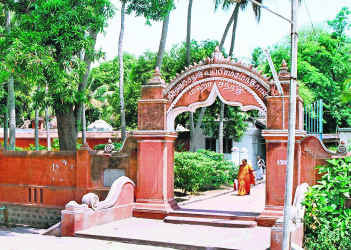 The sand on which saint Sadasiva wrote is even today preserved and kept at the Pudukottai palace. Merely entering the Samadhi of this great saint can be like presenting your heart, body and mind with the gift of ‘peace’. The surrounding lush green area adds to the tranquility of the place. Calm and silent, as you enter and roam around seeing the works of this great saint, reading by his stories, you would probably only hear the ruffling of the trees and the distant chirping of the birds. A lot of people visit and seek solace at the Saint Sadasiva Brahmendra’s samadhi. You can also offer puja and archanai by getting in contact with the temple priest. Though the place is a simple construction with a gopuram and a sanctum dedicated to Lord Shiva, there is a certain sense of unburdening of heart that you feel as you reach the Saint’s samadhi. Hence a visit to this place is highly recommended not because of its sculptural beauty or anything of that sort but simply to know the saint better and to experience sheer inner peace and calmness, something that the chaos of the busy lanes of cities can never offer. Sri .N. S Narasimham, Secretary, Mobile no: 9543989593. Other than the temple that holds the samadhi of Sri Sadasiva Brahmendra there are various other temples, old and new located at Nerur. You can go around and take complete advantage of the time kept aside to visit Nerur by visiting as many as places as possible. There are various temples devoted to various kuladevatas like the Angallamman temple, Agneeswarer temple etc. these temples mainly get visitors from even faraway places to offer prayers to their family deities. For many it is mandatory to make a visit atleast once a year. Nerur lies at a distance of about 10kms from Karur city. Hence if you are at Karur you can just take an auto or a taxi and reach Nerur in 30 mins. Take a whole day to visit the samadhi, the other temples and sightseeing and you can then conveniently catch a train back in the evening. Nerur being a small village does not have any good accommodation facilities. But Karur offers many good accommodation facilities from lodges and budget hotels to 5 star hotels. You can stay there and travel to Nerur and visit the place. Accommodation in Nerur village is available. It is a heritage guest house with basic amenities. Western toilets are available. Donations help to maintain the guest house.